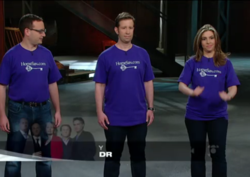 HomeSav.com’s appearance on CBC’s Dragons' Den on March 21st increased their website traffic by 3000% as people from across Canada were flooding the site from the moment the episode began. When the numbers came in, we found out that we had a 3000% increase of website traffic overnight. Exposure from the show has a track of boosting start-up businesses with increased sales, new distributors, and a multiply in customer acquisitions. This was exactly the case for HomeSav.com when it was featured on the CBC hit show Dragons’ Den. Last Wednesday, an impressive 1.5 million viewers tuned in to watch entrepreneurs pitch their businesses for a shot at an investment from business moguls Bruce Croxon, Jim Treliving, Kevin O'Leary, Arlene Dickinson and Robert Herjavec. HomeSav.com, the fastest growing Canadian home decor online shopping club (flash sale site) selling branded home décor, furniture and lifestyle products at up to 80% off pitched to the Dragon’s that night. Marketing maven, Arlene Dickinson called HomeSav.com “the real deal” and internet mogul Bruce Croxon said, “I am impressed (actually) with how buttoned down you guys (HomeSav team) are.” After co-CEO’s Aliza Pulver, Allan Fisch and Alex Norman presented their products and business model, Kevin O’Leary & Jim Trevling teamed up and tried to make an offer to invest into Homesav. Arlene Dickinson cut Kevin O’Leary off, calling him “a greedy pig”. Bruce Croxon then teamed up with Arlene to out-bid Kevin and Jim, asking the Homesav team to make a choice between “the progressive offer with people (Arlene and Bruce) who are in the know with the internet space.. (or) the sightly more archaic dinosaur offer". After a brief consideration, The Homesav.com team accepted the offer from Bruce and Arlene who were the more internet and marketing savvy Dragons. The episode was filmed 9 months ago, when Homesav.com had only 45,000 members. That member-base has now grown to over 200,000. “The Dragons loved our business model” says co-CEO and founder Allan Fisch. “We didn’t know what to predict in terms of traffic to our website and new customer acquisitions from being on national television on such a massively followed show. When the numbers came in, we found out that we had a 3000% increase of website traffic overnight." In addition, concurrent with airing HomeSav’s Dragons’ Den episode, we would like to announce that Homesav.com is launching a section on our site, HomeSav Shops, where third party vendors with unique and branded home décor, furniture and lifestyle products will be able to list their products on our website. We are doing this so that we can enable our members to discover the largest array of products for the home, sourced either by our expert buyers, from the best brands and artisans in the home and lifestyle space.